You might be surprised to learn that Java, the long-lasting and ever useful internet programming language, is even still around. Well, as it turns out, Java app development is at an all-time high. Hiring a Java app developer to write a program for your needs is easier than it was in the past due to high adoption rates across device platforms. Java web development has decades of refinement and knowledge behind it. Custom Java development is similarly popular, as Java is used in smartphones, wearable tech, and many other IoT devices. At Savvycom, our goal is to exceed standards in all facets of web development, and Java is one of the many options we give our customers. If you need a Java development company, look no further. When Sun Microsystems released Java in 1995, they surely didn’t expect the impact it would have on the web to come. During the dot com boom, Java became the go-to programming language for any developer who wanted an easy to work with the framework. Browser compatibility gradually became universal as Java’s business-oriented code became more refined. Just like all successful programming languages, Java adapted to the changing hardware and technical climate. Due to Java’s ability to run on almost any hardware regardless of architecture, Java has become one of the most widely used client-web programming languages ever. Savvycom is dedicated to bringing our customers to end products that not only satisfy the stated need, but do it simply, effortlessly, and in the time allotted or faster. We use Java in many of our applications (Jio Health, Realm,…) as a matter of confidence in the stability of the platform. The now decades of documentation that exists allows our Java developers to quickly find solutions to any issues that may arise. This is in addition to the years of experience our team already has in the field of Java app development. If you were to try to create your own CMS or backend media platform, how would you do it? Hire a team of developers to write your own code and start an entirely new language just for your business? This is not practical unless you like to throw money out the window. It is much more efficient to use an open source platform that already exists and that hardware manufacturers already build their products to be supported by. While there are a few other choices for serving media content, Java again has the most support and capabilities. When you consider hiring a Java app developer, there are several things to think about. If you hire an individual, costs can be lower, but what happens if they aren’t capable of fulfilling your requirements? You will have to fire them and hire another, taking the loss. You could hire an in-house team of developers, but the overhead would be so great, any extra money available to enhance the project further may be spent on the time to develop it. By trusting in a Java software development company such as Savvycom, these concerns are eliminated. We have proven through our portfolio of previous projects that we have the experience and the team to finish any Java app development project that you might dream up. Our dedication to the Agile development model ensures that you will get what you ask for when you ask for it. 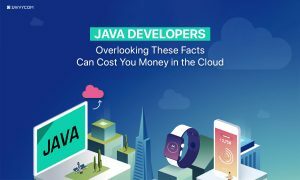 Some companies and executives might remember a time when Java was known to be slower than other languages due to it having to be compiled to run on the hardware that the JRE (Java Runtime Environment) was installed on. Luckily, there are two factors which mitigate this. Many new hardware devices can decode and run Java directly, forgoing the need for a compatibility layer. Additionally, Java applications can now be compiled on the fly as they run, further speeding the application’s overall speed. Java comes with an automatic memory cleaner of sorts. When the code sees that there are no more references to a particular object, the memory that object occupies will be recovered and available for use. This will allow small devices with very low memory to run Java without becoming sluggish. Memory leaks are minimized as long as the Java app developer writes clean code. This is also another good example of why you want an experienced Java app developer on your side. Writing clean code that is optimized for your application and hardware is essential. With Swing, Java allows applications to have the look and feel of other large well known operating systems and their GUI within your own application. This allows you to have the functionality of a native app, but without having to run outside of the Java environment. Applications using this type of architecture would be of advantage to any company that wants to run their own style GUI yet retain the basic functionality of a device within the app itself. There would be no need to leave the program to change the settings of a device. Additionally, Swing allows the entire GUI to be hot swapped, which could be advantageous for any hardware that runs solely on Java. This kind of adaptability is why Savvycom employs our team of experienced and ‘savvy’ Java app developers. We take pride in being able to adapt to change, even if it’s smack dab in the middle of a project. In fact, we thrive on the enthusiasm of our team in such situations. With our internal structure optimized to maximize communication with the customer and respond to immediate needs, we are the Java app developers you have been searching for. In conclusion, we believe Java app development has a long future ahead. It pays to not only listen to the customer but to observe the market as well. So long as Java apps continue to be popular and hardware continues to support it, we will be the best choice to help you with your programming needs. Applications developed in Java by our team can be trusted to have a low incidence of hang-ups or failures such that you might experience with other developers. If you have an idea where Java can be implemented and are in a crunch for time, Savvycom is your answer. Just as well, if you have an idea and you aren’t sure about what platform you desire, we can recommend and implement solutions based on your needs in record time.